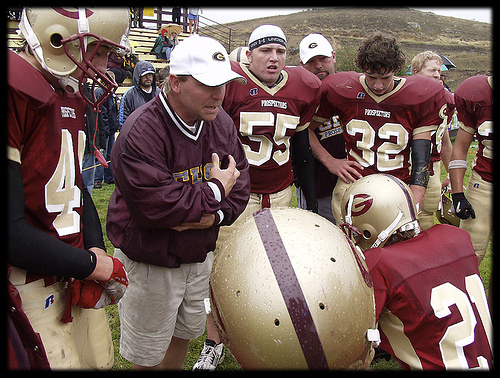 Coaches, Mentors and Buddies – What really works! In business you here terms like coaching, mentoring or even a buddy program tossed around and used interchangeably. I like to look at these as three separate things that have a unique role and value. Here’s how I define them. A coach is someone who works with you to improve your performance. This is what the coach is paid for. This is often but not always the individuals direct supervisor or boss. A mentor is someone who guides you through different situations sharing insights. A mentor wants you to do well but isn’t paid to help you. What and how a mentor works with you is negotiated and not mandated. With this definition, it’s easy to see how you could benefit from both a coach and a mentor. A professional golfer will have a coach who is paid to work with the individual someone like a Butch Harmon. They have specific expertise and a well defined role to play. On the other hand they might have a mentor who has been on the tour a while and can help them with things like how to manage all the different facets of tour life. A buddy on the other hand is a peer who usually is going through want you’re going through. They have a different perspective than a coach or mentor. This is a person with whom you can share and discuss experiences. So instead of decided which one is best, I find it works best to find a way to have all three. If you’re building an onboarding process, this is an important part.